Do your projects provide tangible benefits to your business? If a project is delivered on time and on budget, can it automatically be considered successful? That very much depends on whether it actually delivers the benefits the stakeholders were counting on. 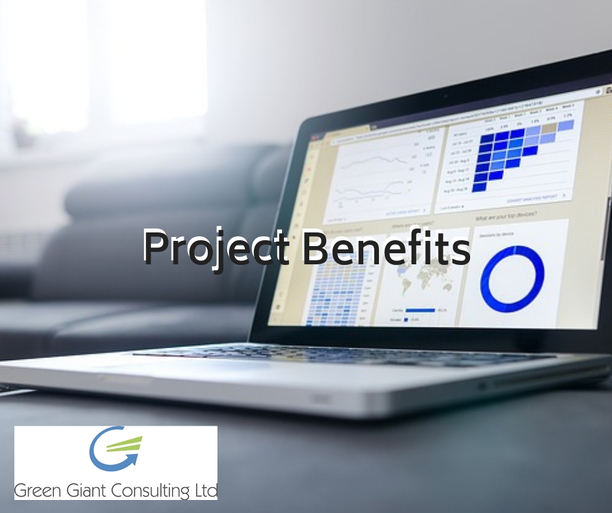 From a project management point of view, a project manager will make sure that everything in the project plan is delivered within the time specified and does not cost a penny more than budgeted. But there is a lot more to consider than the actual deliverables. What are the desired or planned benefits of the project? The benefits could be monetary savings, time savings, increased sales and much more. Each case will be different. The initial project creation should always include intended benefits. It is important that these benefits are measurable. If there is no measurable benefit, then evaluate whether the project is even worth starting. Does the company really want to spend time and money on a project that does not provide any measurable benefits? Businesses with benefit driven processes will always be ahead when it comes to achieving their overall business goals. When do you need to evaluate project benefits? Throughout the project life cycle, it is important to revisit the intended benefits. This should happen at key stages of the project. Evaluate whether the project is still on track to deliver the intended benefits. Has anything changed that alters the delivery of the benefits? Have suppliers changed their products or are training providers no longer available? Or maybe there are changes in costs, environmental changes or new legislation that alter how much benefit a project can provide. A project has been set up and is going to cost £100k. It is going to deliver a saving of 3 full time equivalents (FTE) at a cost of £200k over 2 years. With new knowledge gained through the requirements and the design phase, it transpires that the project will only save 0.5 FTE, saving £40k over 2 years in addition to a rise in project costs to £175k. Therefore it is going to take much longer to realise a cost benefit to offset the cost of the project. The project should be stopped as it is doubtful whether the initial project cost will ever be recovered. As the project progresses, unforeseen circumstances may occur that may cause additional side-effects which could prove beneficial or adverse. It is therefore important to include a benefits review at every stage of the project life cycle. Documenting the intended benefits clearly has another advantage. It can ensure buy-in from team members who might otherwise be doubtful about the project. This kind of doubt can be damaging to the success of a project. Are your projects delivering the benefits and return on investment that you expect? Are you monitoring and controlling your projects effectively? Are you starting multiple projects with a clear and consistent delivery approach? If you have answered ‘No’ to any of these questions you may wish to consider implementing a structured Project Management methodology. Please get in touch for a complimentary 2-hour Project & Programme Management Consultancy session to see how we can help. You can contact Green Giant Consulting today on 0844 259 6210 or visit our Project & Programme Management Consultancy contact page.